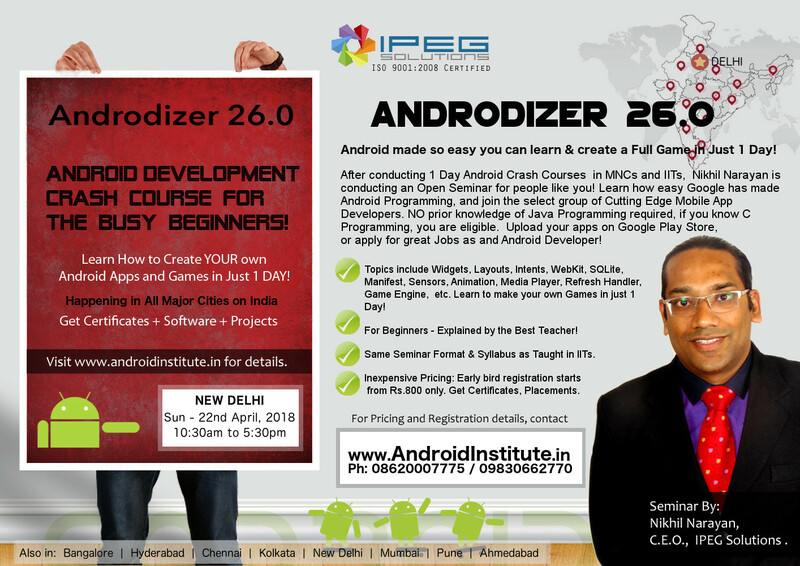 Android Institute | The Best Android Training Institute of India. old – Android Workshop – Registrations CLOSED. Android is the world's most popular mobile platform. With Android you can use all the Google apps you know and love, plus there are more than 600,000 apps and games available on Google Play to keep you entertained, alongside millions of songs and books, and thousands of movies. Android devices are already smart, and will only get smarter. Mobile and Cloud is the future of programming. Any developer who is not working in Mobile technologies now will most probably become outdated in a few years. Today, you cannot survive on one technology alone, every programmer Must learn mobile development, preferably Android. We are the First in India to have started Android Training (2009). We have extensive experience of having trained experienced employees of several IT companies. Browse through our testimonials section to know why we are the best. Our next full course training is starting in July, 2018. Total Fee: Rs. 24,000/-, 2 Months duration. Classes Monday-Friday from 10:00am to 1:00pm. There is a waiting list since we only take a limited number of students. Please come to our office to apply.Click here for full details. Click the Image above to see more pics from the workshop on FaceBook. REGISTRATIONS ARE OPEN FOR DELHI 22nd April Crash Course. LIMITED SEATS, closes fast! Why be an ordinary programmer when you can be An Android Expert? Our trainers have spent years in learning what you will learn in hours. With your energy and our experience, you can be an Android Expert too. 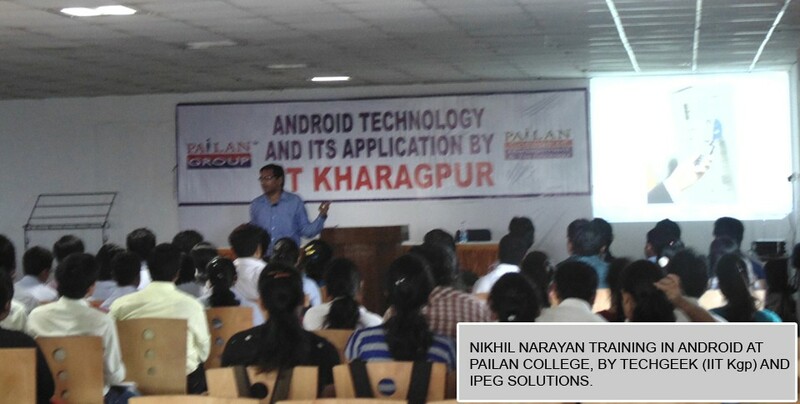 Our 1 day Android Workshop is a hit with the top Indian colleges. Our expert teachers have made the impossible seem so easy – now become an Android expert in a short time. 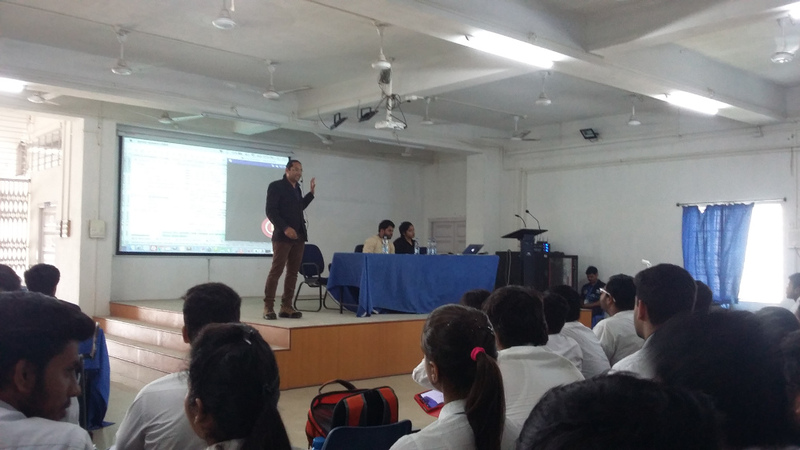 We organize seminars at colleges all over India. Is your company planning to foray into the world of Android? We provide customized corporate training, with basic onsite packages starting from Rs.25,000/- only. Our 3 Month Android course now covers Android Business App development, Website App Development as well as Android Game Development. It also includes live projects. Knowledge of basic programming is necessary. If you know C / C++, it is sufficient. Knowledge of Java is not needed, we will teach you that. You do NOT need to buy any android device. Using emulators, you can create any Android Phone / Tablet on your pc to create and test applications. Call us on the phone 8620007775, 09830662770 for queries. in India.He explains to our students on how and why he chose us! • Google – The name is enough. Best company in the universe. Google is not just any company. They have very long term plans with android. Apart from Phones & Tabs, Android is being used in Watches, Fridges, TVs etc. View the Video above to know about Google Glass, and the future of Android. IPEG Solutions (Also FreshersIndia) is the most loved and respected institute in eastern India. Dont take our word for it, see for yourself. Android works in tandem with the internet, with several services requiring a web server ( Linux Apache MySQL PHP ) in the background. Our teachers are well versed in PHP too. Shown above is testimonials of a PHP corporate training batch. I am a project manager in a medium sized IT firm. The training by Nikhil was excellent and I would like to go for more advanced level trainings with Nikhil surely. It was a great training. Excellent overall experience. I am a Team Lead at an IT Company. Excellent and to the point training. Syllabus covered in the specified time frame was in the best way. I am a senior web developer in a Sec V IT Company. The android training was a very good experience. Will keep in touch for sure. Copyright 2012 - 2016 IPEG Solutions. All rights reserved.